Welcome to Voila! Bistrot, the latest French food venue from former Figaro Bistro owner Laurent Gabrel. 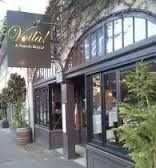 Situated in Madison Valley, as one of the best French Bistrot in town.